You are ready e-transformation with Sentez Live ! Click for more information about Sentez’s Live e-ledger, e-archive, e-invoice Solutions. Also you can ask for a free promotion that get a free consultation for your company on the e-transformation process from reprentatives of Sentez Software. Tekstil ve Hazır Giyim sektörü için geliştirdiğimiz, tarladan mağazaya kadar tüm üretim sürecinin tam bir entegrasyon içinde takip edilebilmesini sağlayan Tekstil ERP Çözümlerimizi, yurt içinde ve yurt dışında on binlerce kullanıcıya ulaştırıyoruz. SentezYARN is system provide follow up until starting from order to delivery for yarn manufacturing all transactions. Today, the rapidly rising competitive conditions in the business must increase their competitive advantage. This exact information reach as soon as possible for strengthen the ability to decide. SentezYARN provide managing efficiently your business’ need information by yarn manufacturing tracking system. All yarn manufacturing companies is adaptive completely through flexible structure. SentezKNIT SentezKNIT Knit Manufacturing Follow up is system follow up until billing from fabric raw materials input. With Cost Management, original cost is computable automatically and is receive automatically lot-order cost. Work order follow up, identify in detail belonging to manufacturing all information . Automatic work order can be prepared in accordance with your customer order. With pro forma cost, you can prepare an invoice profit and commission rates of wastage order given by your customers. In addition, you can easily perform many more transactions. SentezWEAVE Weave Manufacture Follow up is system provide following up until starting from order to delivery all manufacturing process of textile fabric companies. With Pro forma cost; you can prepare an invoice profit and commission rates of wastage order given by your customers. In addition, you can easily perform many more transactions. You can transfer automatically recipe knowledge pro forma costs’ screen with technical details belonging to fabric as weft density, warp density, cycle. With work order Follow up, you can identify in detail belonging to manufacturing all information. You can prepare automatic work order from customer order and get work order printout barcode and without barcode. SentezDYE textile finishing follow up system prepare to follow up until invoice to the raw material input of dye house all transactions. You can transfer to work order automatically order given by customer with SentezDYE. Receipt can identify on the basis of customer and fabric. Automatic receipt can create received information from default. Different products follow up the same work order. Manufacturing process can follow up on the basis of work order. Automatic work order can be vary-off. Price contract make receipt, transaction or lab dips on the basis of customer and date. 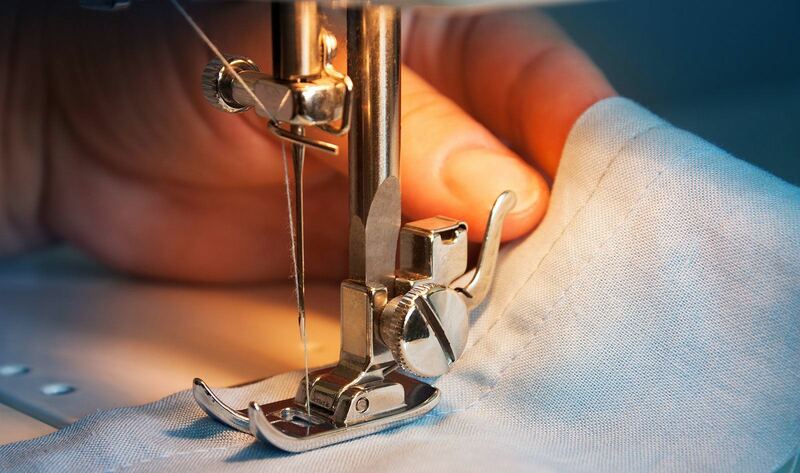 Textile sector has an important place in Turkish economy. In production; to increase efficiency, minimize costs, keeps the quality always in a positive way, to make time planning, provide satisfaction are so important for the company’s’ development . SentezVOGUE Apparel Manufacture Follow up System provides to follow up until dispatch to calculation of product cost all process. Thus, it brings the advantages of high quality and profitable production. SentezLİVE ERP platform has been beginning to be preferred by many institutions that by increasing with 25.500 users’ number of worldwide. Comparing to other ERP software, higher performance and lower cost advantages have been effective for preferably. İşletmenize en uygun çözümü sunalım.